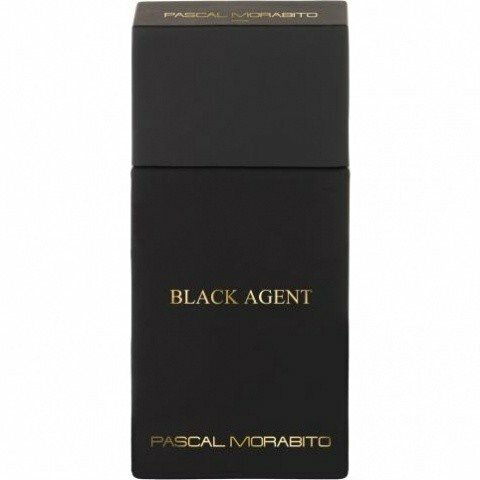 Black Agent is a popular perfume by Pascal Morabito for men. The release year is unknown. The scent is spicy-woody. It is being marketed by New Deal. The first impression after spraying is a credit to the name: strong appearance of the black agent! It is powerful and dark, dense, complex and balanced. But at once he reveals his real, much more gentle nature. A bergamot-fresh, almost cool breeze comes up, which is slightly bitter-fruity seasoned with pink pepper. After the initially trumping gesture this is really pleasant and sympathetic. Soon the scent gets warmer and soft incense comes up. At first very compact, then a delicate rose note unfolds that lends the fragrance something sweet. Only directly on the skin is the agent still as spicy, earthy and dark woody as it was at first. Over time, the fine rose incense becomes a light vetiver incense that remains soft and gentle. After a few hours the fragrance still gets a vanilla-floral note like an old cognac. Vetiver blonde, incense blonde and not stupid at all, but quite refined: sometimes Black Agent, sometimes Undercover Blonde! A nice unisex winter scent, especially for going out. Sillage and durability are above average: present, but not intrusive. All in all, Black Agent makes a high-quality impression. With "Black Agent", I didn't reach my goal. The fragrance starts off promisingly nice and softly weih-rauchig with lots of spice, soft, warm, very discreetly sweet and very contemplative. During this time I really like him about me, and that although he is quite quiet and almost does not radiate. At least that's how it feels to me. But then, in Base, the fragrance becomes more masculine: it smells like a typical, aromatic and reserved eau de colone for men with cloves, vetiver, pepper.... Good, but no longer unisex. The shelf life here is also an issue. At me the fragrance does not last longer than 3 hours and that continuously quiet and reserved. Right disappointing. Otherwise it is a beautiful fragrance for men, held in shades of grey and rather something for autumn-winter time. Arrived at your destination .... ? ... no, because the fragrance journey is infinite. However, one has to deal here with a serious representative of its type. The sweet incense fragrance. He was compared to Gucci pour Homme I, perhaps rightly so. If it wasn't for morabito, you'd really think it was an expensive scent. Cause he smells high. One of the better morabitos. But it's nothing to friends of the non-sweet. A winter scent for cold days. The bottle has a matt soft rubber cover and fits the contents. The floral notes are present but not dominant or unpleasant. The rating of 8.0 here is surprisingly high for a Morabito, which speaks for the fragrance.